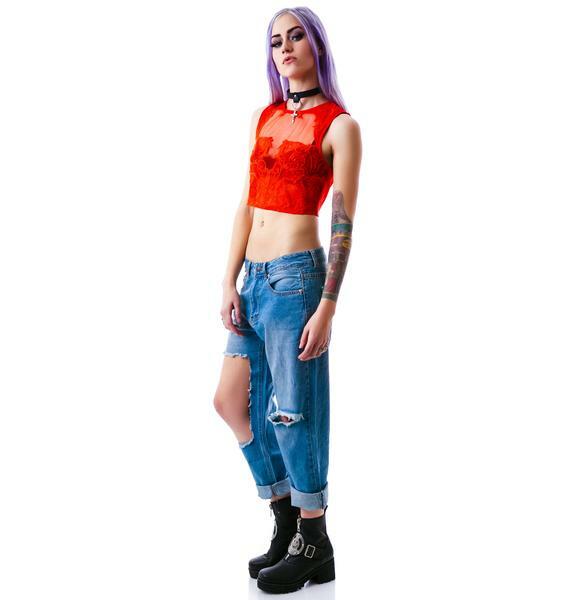 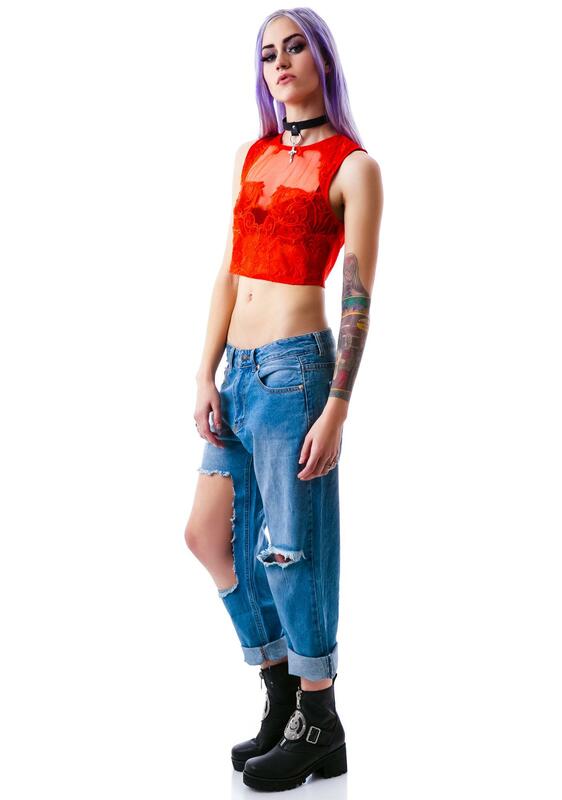 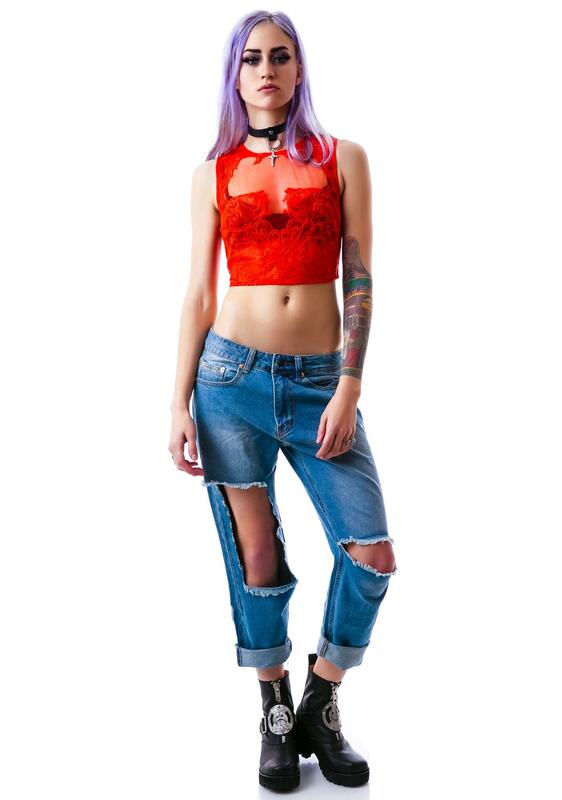 Lila Lace Crop Top is going to keep you cool while you turn up the heat in this sexxxy lace crop top. 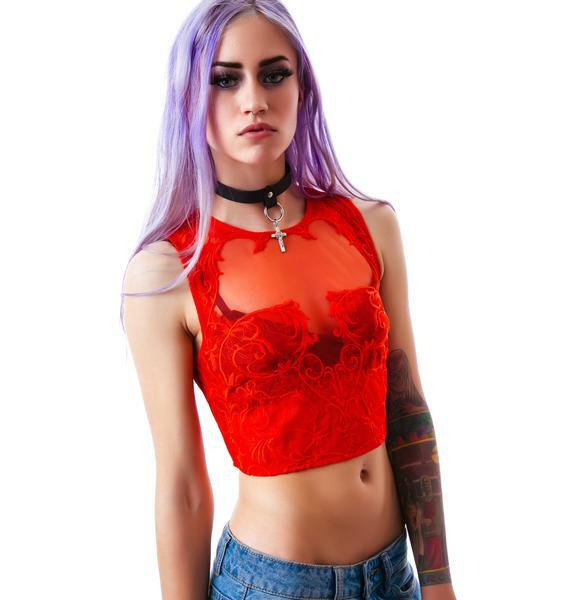 This super soft and stretchy crop top is super lightweight and features a beautiful intricate lace overlay with a sheer cleavage panel. 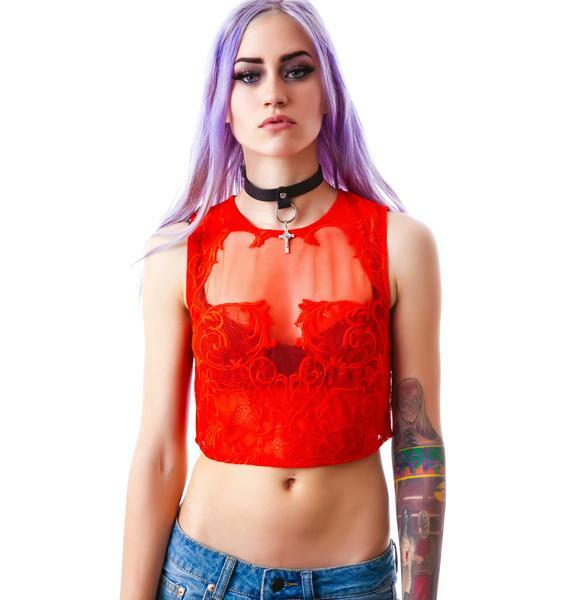 Zipper closure in the back allowing you to get that perfect fit thats fully lined. 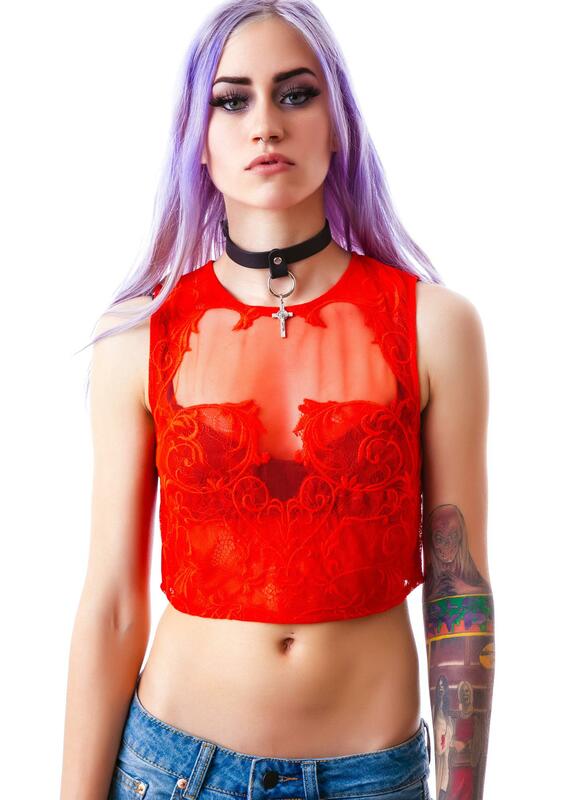 So whether yer putting it on, or hes taking it off, you should have no troubles.